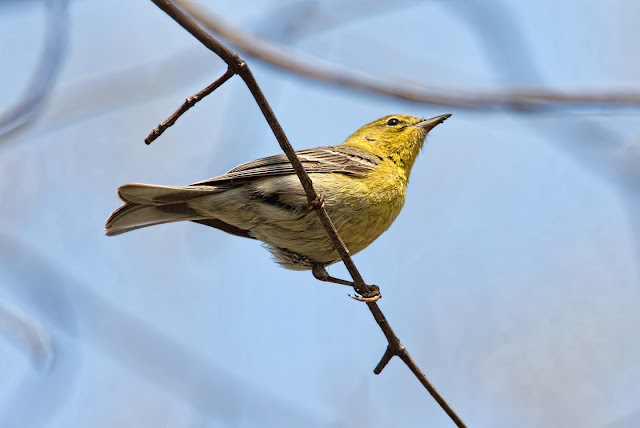 It may be gray and gloomy today, in the allegedly merry, merry month of May, but the warblers are passing through on their biannual migration vacations. This pine warbler turned up a few weeks early, discovered the feeders in Central Park, and saw no reason to leave in a hurry. What a charmer! And what a great angle, too.